June 10, 2010: In an effort to make Hajj cheaper and easier for Surinamese, Muslim organizations met on June 8th in Paramaribo. President of the Foundation of the Islamic Communities in Suriname (SIS), Al Haj Ustadz Mohammad Rida opened the meeting with praises to the Prophet Mohammad (uwbp). After years of failed effort this is milestone achievement. Those were the words of Al Haj Ustadz Mohammad Ridwa in Javanese. 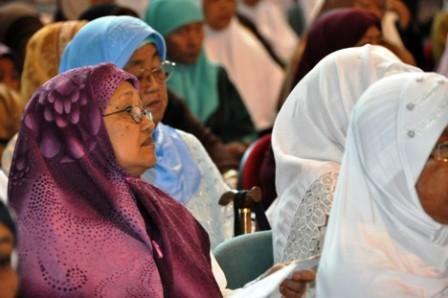 The audience was mainly Surinamese Muslims of Indonesian background. The message throughout the conference centered on “brotherhood, community and progress.” The crowd included women, diplomats and facilitators with the aim of uniting the Muslim community. They hope to form a national Hajj organisation which they believe will reduce the cost of the Hajj. A member of the audience when asked if he made the Hajj, remarked, “The pilgrimage is quite expensive which means not everyone can get the chance to go.” However, if he can afford it, he will certainly seize the opportunity. 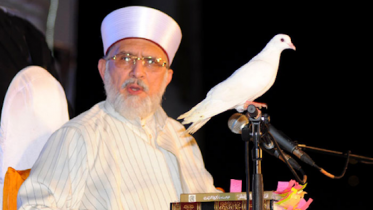 Therefore, according to several speakers, combining the various Muslim organizations is a necessity. This will make the Hajj pilgrimage for Surinamese more affordable without the necessary assistance from foreign organizations. Another problem is the fact that visas for Hajj are obtained in the Netherlands but not in Venezuela. This should change to Venezuela where Saudi Arabia maintains an embassy. Also, Saudi Arabia sends an envoy to issue Haj visas in neighbouring Guyana and Trinidad but not Suriname. These are some of the issues raised at the conference. As well, it is also difficult to get certain vaccinations in Suriname, because they are expensive and sometimes unavailable. It is therefore important that these issued are dealt with in a unified way. The Hajj or pilgrimage to Makkah is the fifth pillar of Islam. Suriname’s Muslim community is roughly 20% of the population and Suriname belongs to the Organisation of Islamic (OIC) Conference and the Islamic Development Bank (IsDB). Be the first to comment on "Suriname Muslim organizations seek to make Hajj feasible"
ARE WE SERIOUS ABOUT FACING THE TAKFIRIST IDEOLOGY?